Trouble on the home front, Aries? Today, the sensitive Cancer moon barrels through your domestic fourth house and forms an opposition to structured Saturn. Maybe bae has been getting on your nerves by scattering laundry everywhere or an annoying roommate won’t stop drinking the oat milk you had to go to three Whole Foods to find. Avoid stewing behind the scenes and address the problem head on. Clearing the air will help you coexist in harmony. Don’t live with anyone else? Maybe you’ll finally find the time to make some much-needed home improvements, like changing burned-out light bulbs or painting an accent wall—in a bright, Aries-approved hue, of course. Today, as the moon and restrictive Saturn lock horns, a serious obstacle could pop up, seeming to derail your goals. But don’t give up! Maybe you just need to look at things from a different angle. Use the innovative influence of this moon to help you find a creative solution—and pull in your most genius friends and advisers for some advice. Some wild experimentation could lead to major breakthroughs. And don’t forget: Sometimes the only way out of a “problem”, is through it. Stuck in a tricky financial situation, Gem? You can thank (or blame) today’s starmap, as the Cancer moon opposes strict Saturn across your money axis. It’s possible you made an error on a group project at work that wound up eating away at your budget. Instead of beating yourself up, look for areas where you can trim costs and make up for lost cash. Having personal money woes? Examine your spending patterns. Clicking on those Instagram shopping links is probably NOT helping your bottom line. But don’t just dwell on your bank balance. Necessity is the mother of invention and today you could dream up a lucrative side hustle! Hit the ground running, Cancer! Hopefully you got a chance to recharge your batteries over the long weekend because you’re going to need that energy. Just don’t get SO carried away that you turn into a humorless taskmaster at work. With the Cancer moon in harsh opposition to structured Saturn, you could accidentally turn into an office dictator. Yikes! Be considerate of others as you power through your busy day. There’s no need to be curt or condescending when dealing with your colleagues, especially if they’re offering valuable advice. In fact, collaboration could actually lead to a more efficient workflow. Lean on your team, Crab. Riding an emotional roller coaster, Leo? Try not to spiral out today, as the moon forms a moody opposition with sober Saturn. Beware, Lion: If you’ve been working through a personal issue lately, it could rear its ugly head. Or maybe you’re just feeling touchy and anxious. Avoid triggering people and take a deep breath before reacting to someone who you perceive as inconsiderate. Rather than give in to negative energy or paranoid thoughts, channel that anxiety into a detailed project; or dive into a creative endeavor that leaves you feeling soothed and satisfied. Never underestimate some good old-fashioned self-care. Maybe it’s time for a one-day social media detox, a relaxing bath or both! You love to care for others, Virgo, but how are you treating yourself? Your own well-being should always come first. Is someone in your orbit soaking up a little too much of your generosity without giving anything in return? Weed out any needy people and focus on your own desires today, as the moon in your teamwork corner opposes sensible Saturn. There’s no need for things to get dramatic, just set healthy boundaries. Gently ask the “taker” to ease up on their demands of you, or identify ways that you could help each other over the coming weeks to even the playing field. And remember: A little diplomacy goes a long way! All work and no play is so NOT the Libra way. Take stock of your life: Have you been spending too much time at your laptop (and not enough out in the sunlight), and are your relationships suffering as a result of this? Today’s Sun-Saturn opposition helps to break you out of any soul-sucking routines. Step back and explore your options. Maybe you could delegate certain non-essential tasks, ask slacker colleagues to step up, or even hire an assistant if budget allows (or find a great intern). Today’s starmap is on your side, as organized Saturn is in your personal zone balancing out the moon in your career house. Once you restore that crucial life-work balance, you can lavish your loved ones with the attention they’ve been lacking. You can’t win by sitting on the sidelines, Scorpio—but you’re not quite ready to jump into the action either. 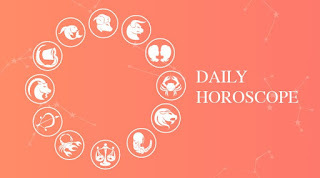 Today, the Cancer moon in your adventurous ninth house get into a showdown with cautious Saturn, which could bring some nervousness around a decision; but don’t let that stop you. Just take a baby step out of that comfort zone. Saturn likes things practical and proactive, so if you’re going to make a move, try something like signing up for an evening class, setting up a consultation with a coach, or getting the free one-week guest pass to try a new gym. You don’t have to commit to anything major; just try the sampler platter and see what suits your tastes. Is this actually a love fest, Sag? You’re in the mood to bond today, as the Cancer moon glides through your eighth house of intimacy and merging. Self-doubt, however, may also be holding you back from making a move. La luna is opposing pessimistic Saturn, giving a voice to that devil on your shoulder. Don’t listen to that demon—you’ve got this, Sag! Single? Don’t let anxiety prevent you from letting friends fix you up on a blind date or from setting up a meeting with someone you’d like to work with this fall. Once you’re in first gear, that affable Sagittarius spirit will take over and things will roll right along. Coupled Sags should avoid jealous or paranoid thoughts. Give your S.O. the benefit of the doubt before flinging accusations in a moment of insecurity. You may be a bit nervous about impending partnerships today, as your ruler, stern Saturn, opposes the moon from your self-authorized first house. But think about it, Capricorn: The right alliance COULD provide some rocket fuel for your professional goals. So why haven’t you joined forces with that dream collaborator waiting in the wings? Don’t pass up any golden opportunities that come your way, but DO read the fine print. It’s good to exercise caution at the beginning of any collaboration. Make sure everyone is on the same page before launching into your work. Once you’ve agreed on things like strategy, timelines and how much everyone will get paid, you can freely go forth and co-create! You may or may not be having a Gwyneth Paltrow moment today, as the moon hovers in your wellness sector. With karmic Saturn opposing the moon, you could also eat an entire box of macarons for dinner or skip your Pilates class because you’re still hungover from Labor Day. Hey, Aquarius: Life is all about balance, but think about doing something to get back in tune with self-care. If you’re depleted, book a bodywork treatment like acupuncture or a chiropractic adjustment; or meet friends for an evening walk instead of a cocktail. Maybe you just need to mix up your routines to keep them from getting stale. Try a group workout class and feed off the infectious energy of the crowd. There’s nothing like a little friendly competition to rev your engines. If you dig the class, why not sign up for a few more future sessions? By committing to them now, you’ll be less likely to bail later. Speak your truth, Pisces! If you sit on your emotions (instead of expressing them), you’ll only feel resentment. The longer you hold your tongue, the more frustrated you’ll get. 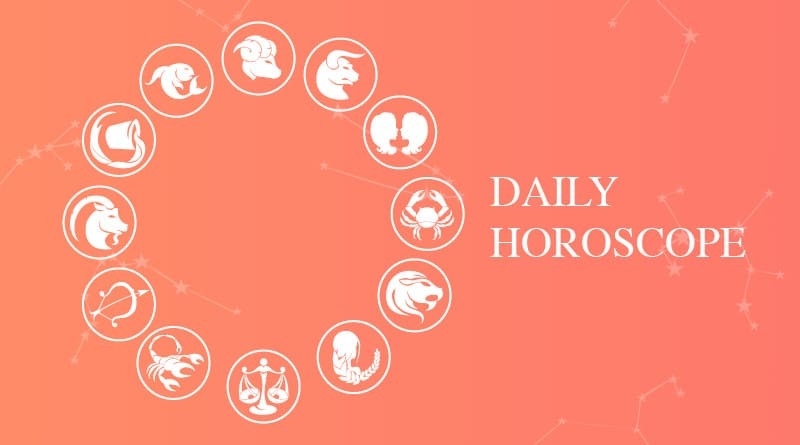 Unleash your honest feelings today, as a Cancer moon powers through your passionate fifth house. Just don’t forget to use a little diplomacy in your approach. Throwing shade, obviously, won’t solve anything. At the same time, you don’t want to overcorrect and candy-coat your perspective. You may be tempted to hold back, due to the tough opposition between la luna and careful Saturn. Find the middle ground. It’s possible to be both straight-up AND sensitive.